The Boy Scout motto is “Be Prepared,” and while it has been a very (very) long time since we attended our troop meetings, that doesn’t mean we didn’t at least remember the lessons. And because of this, when we are packing up to head to a race site, we always bring along a full tool kit, plenty of spare gear, and a pump. Now we wish we could say that we were so prepared that we kept this all ready to go at a moment’s notice, but the fact of the matter is that all of this gets thrown into a canvas bag on most race days, with the pump being the last thing thrown into our SUV as we set out our front door. 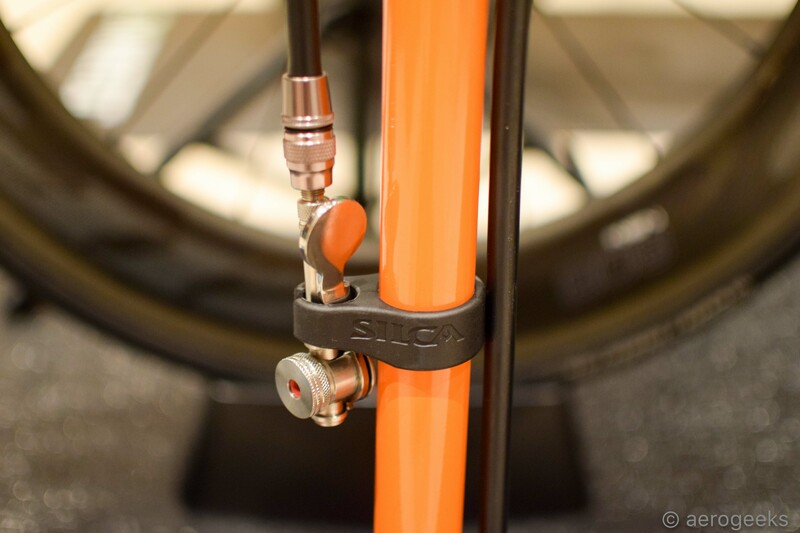 That is until Silca’s Pista Floor Pump + Travel Bag showed up for review. Since then, we are happy to say we have our go-bag at the ready whether it’s for race day or just meeting up for a group ride. 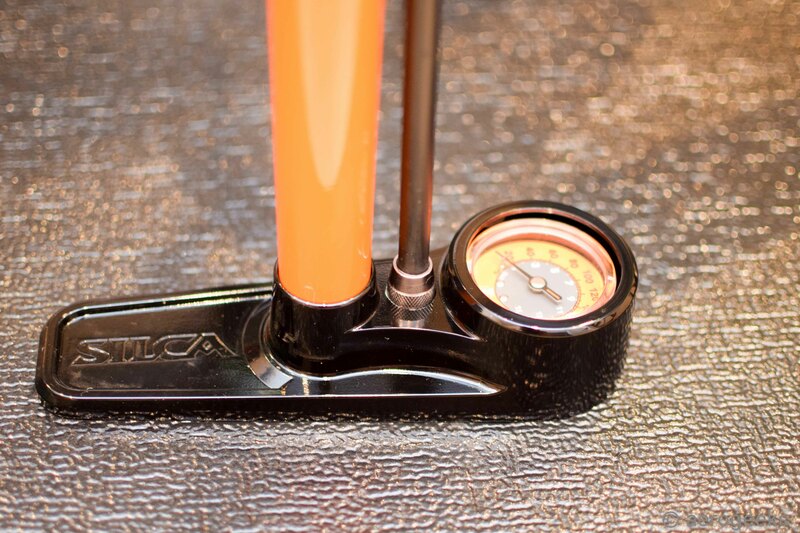 Silca’s latest floor pump is a modern rendition of the famed original 1962 Bakelite handle with the two hose grooves that allowed the pump to lay as flat as possible in the trunk of a car or in a drawer. This new version features updated parts and mechanicals designed to last a lifetime. Like the SuperPista and SuperPista Ultimate, the Pista is designed around a high efficiency Silca leather plunger piston design. This design uses a 3mm thick leather piston washer and solid brass internal valve assembly which have been produced in the same factories in Milan, Italy since 1947. The gauge has been updated to a much higher precision +/-3% accuracy (compared to the original +/-5%). And the Pista is rated to 220 psi. For the handle, the team at Silca specified Ash for its strength and stability. This decision allowed for CNC machining of the wood to even tighter tolerances. Full metal construction is meant to ensure a lifetime of flawless performance and reliability. The steel barrel and piston shaft are upgrades in quality and durability from the previous Pista designs adding linear glide bushings for ultimate smoothness. At the base is a slightly enlarged foot that guarantees improved stability without sacrificing portability. The Pista ships with Silca’s push-on alloy Presta chuck with bleeder valve. The team at Silca are cyclists and mechanics first, and engineers second. And as such, they know that when traveling to a race you are often juggling tools, spares, a pump, and your bike. 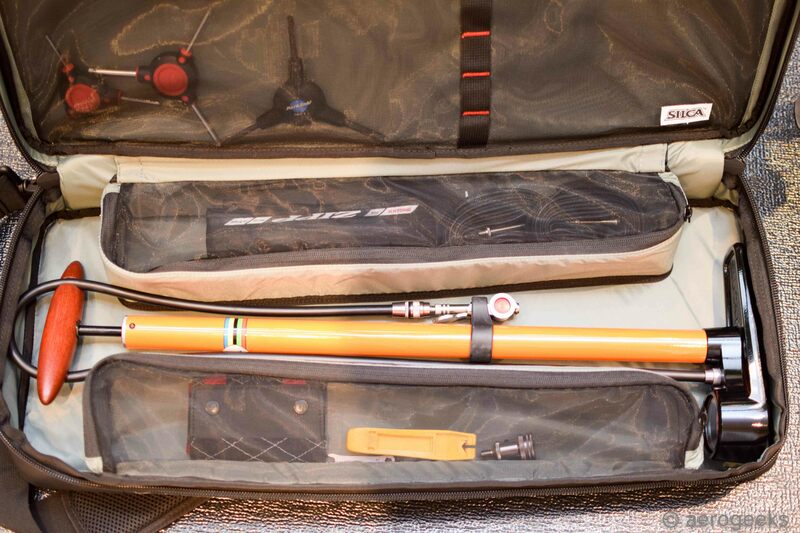 So, creating a solid travel bag designed around their own Pista Floor Pump just made sense. The Pista Travel Bag is made from 600D nylon and canvas, and features an EVA padded insert to hold your pump. Along the sides are two snap-closure pockets and two zippered storage compartments on the inside that are perfect for your spare tubes, tools, bottles and nutrition products. A weather-resistant zipper keeps the elements out, and you have the choice of using the integrated handle or a removable carrying strap when you’re on the move. For those who have an original Pista, the bag was designed to accommodate any of the old Pista pumps as well. Unfortunately, the Super Pista and Super Pista Ultimate do not fit in the Travel Bag. The Pista Floor Pump by itself retails for $125.00, and the bag goes for $90.00. Or, you can buy them as a set for a combined price of $199.00. Once we had that swapped out, we set about testing the Pista. 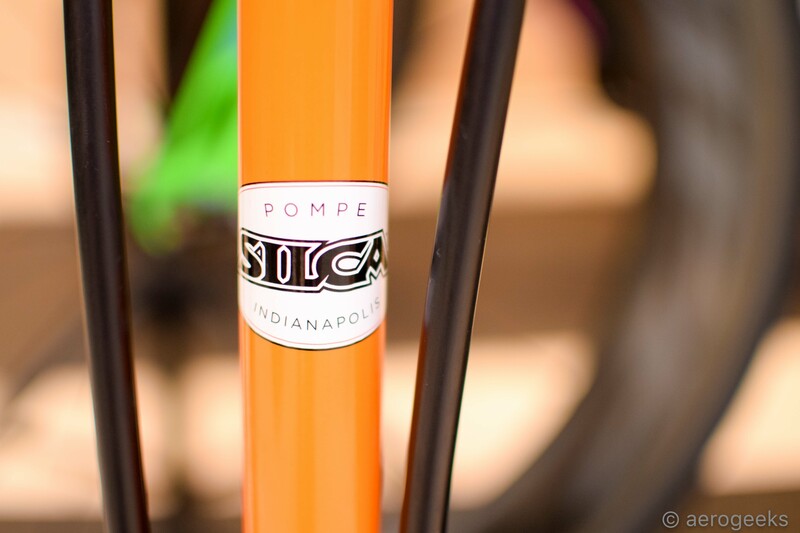 The mechanicals are everything we have come to expect from Silca. The action has been silky smooth from the first pump to the most recent. 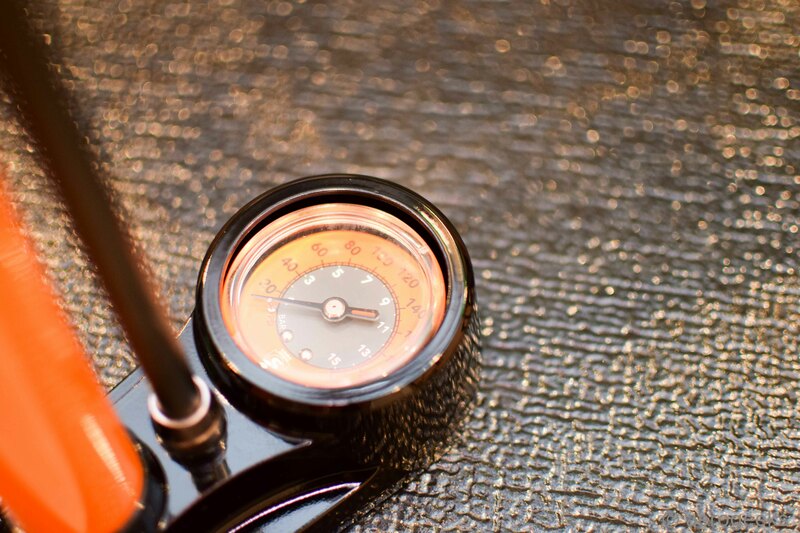 The gauge is extremely easy to read – even in the dark with a head lamp on. We actually had some concerns since the gauge is smaller than others in the Silca line, but in the end, we have had no issue. 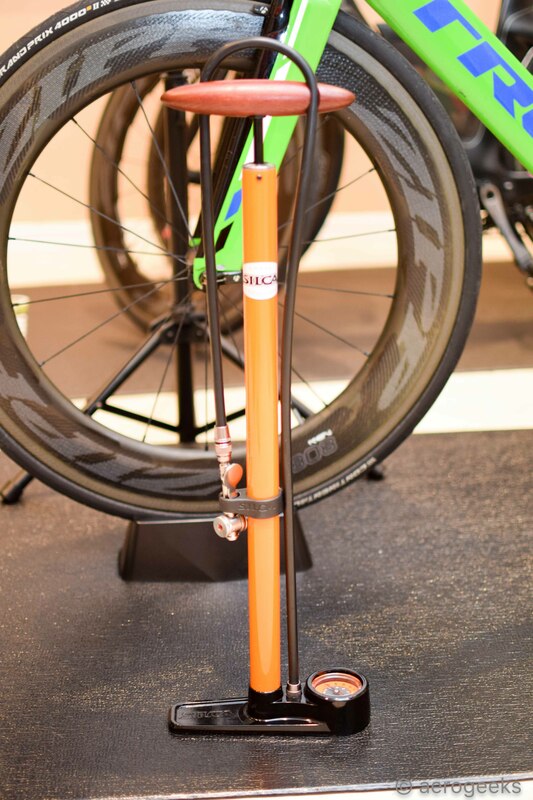 When it comes to everyday use, we found that, while the Pista is a perfect companion for race or training days far from home, it may not have the same ease of use as other options out there (including Silca’s own SuperPista and SuperPista Ultimate) for your everyday pump. The issue isn’t the mechanicals – those have been fantastic from day one. It’s just that this pump is designed for easy transport and race day use, and there are a few compromises because of that. The Pista is shorter than most pumps we use. And for those like our 6’4” chief editor, the shorter the pump, the more uncomfortable it is to work with. 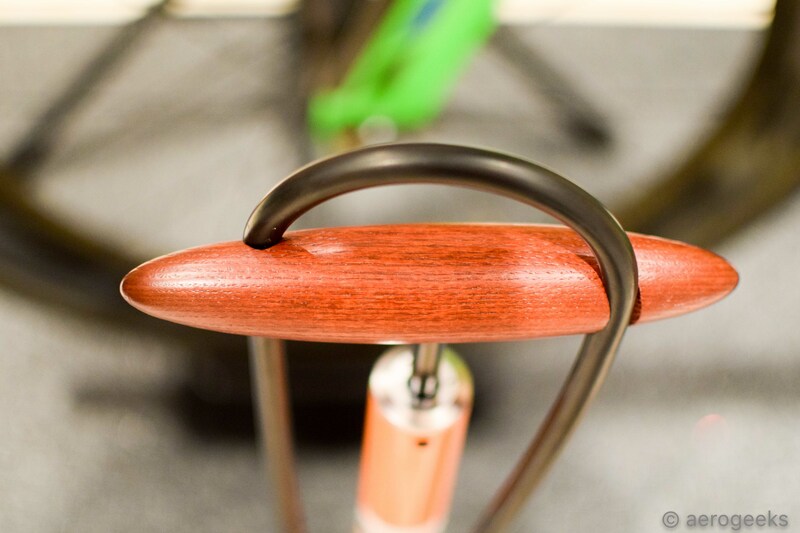 And the handle is quite a bit smaller than the SuperPista’s. 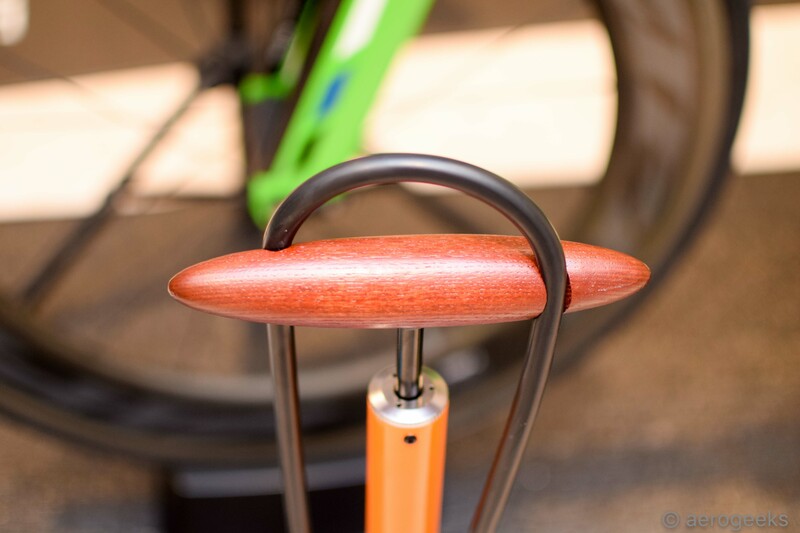 This is great for one handed use, and in our testing was comfortable to top off the front and rear before you head out for a ride. But for doing multiple tires on a regular basis, something a bit larger would be more comfortable. At the base is the single-foot design. Again, great for travel, but it just doesn’t have the same stability of a three-pronged base. Now it’s important to note that we never had a major issue with it. It just doesn’t give you the same sort of steadiness that you have come to expect from other designs. 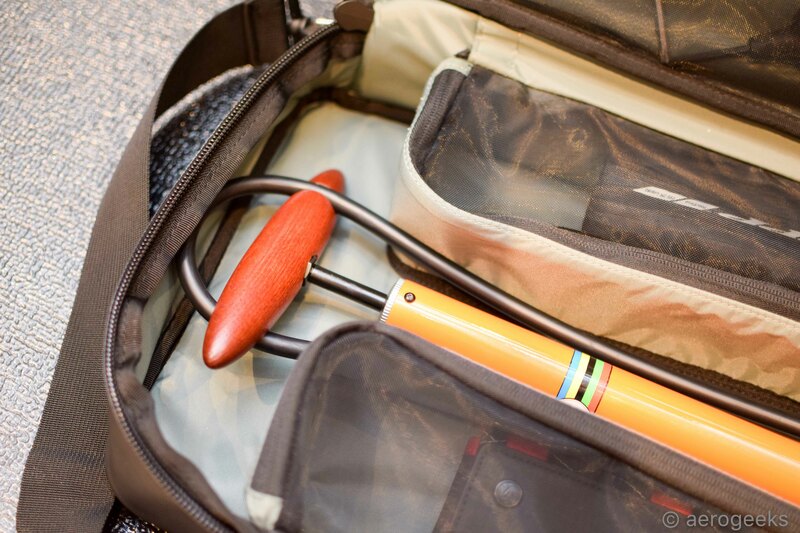 Speaking of great for travel, the travel bag is a perfect complement to the Pista’s design. We packed ours with all the gear we can think we might need for race morning. The two-zippered storage compartments get extra tubes, a tire, and a set of tire wrenches. Plus, there is a Silca Ti-Torque just in case we find something loose. For slightly more challenging repairs are a set of 3-way Allen and Torx wrenches. We actually experimented with throwing a whole Allen wrench set in there, but found it was a bit too bulky and banged against the Pista. Our biggest challenge with the Pista is the price, especially considering that this will not be most people’s main pump. Silca is not a company known for discounted pricing, and at $125 for a pump designed for travel, that may be a tough pill to swallow. The additional bag for $74 more (when purchased together) actually makes this a bit more palatable, especially considering that transition bags easily retail in the $99-$149 range. 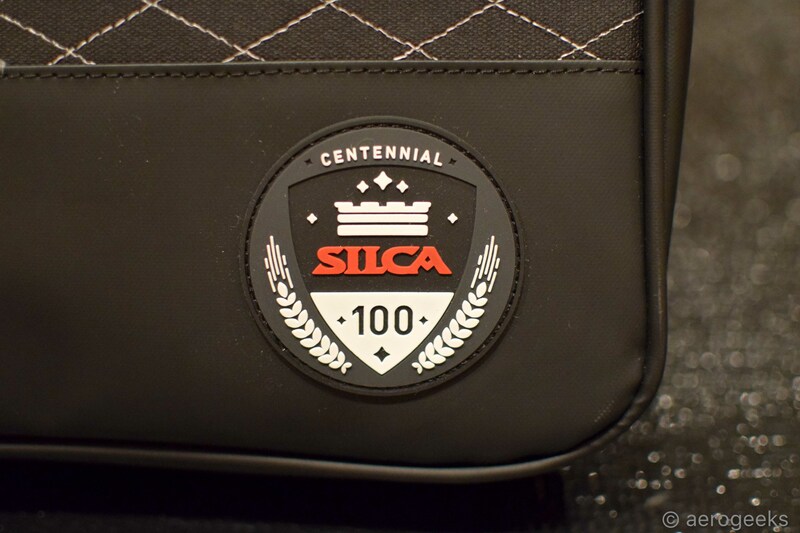 Add on to this Silca’s lifetime warranty, and the price—while definitely still not our favorite part—will be justifiable to many a shopper out there. 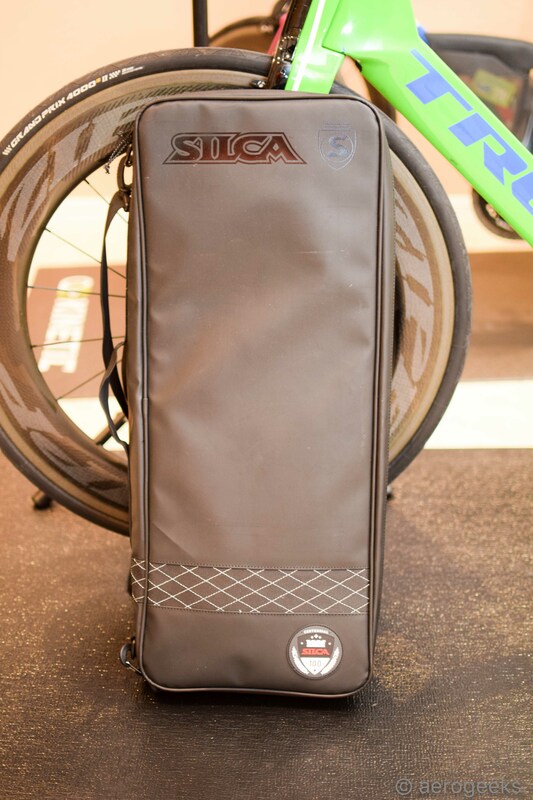 The Silca Pista Pump + Travel Bag is designed to be your track and race day companion. And that is exactly what we found it to be. And even those compromises we mentioned before are ok for us, because the track and transition are exactly what this was built for. A sports car isn’t meant to carry six off road, and the Pista isn’t meant to be your everyday pump. 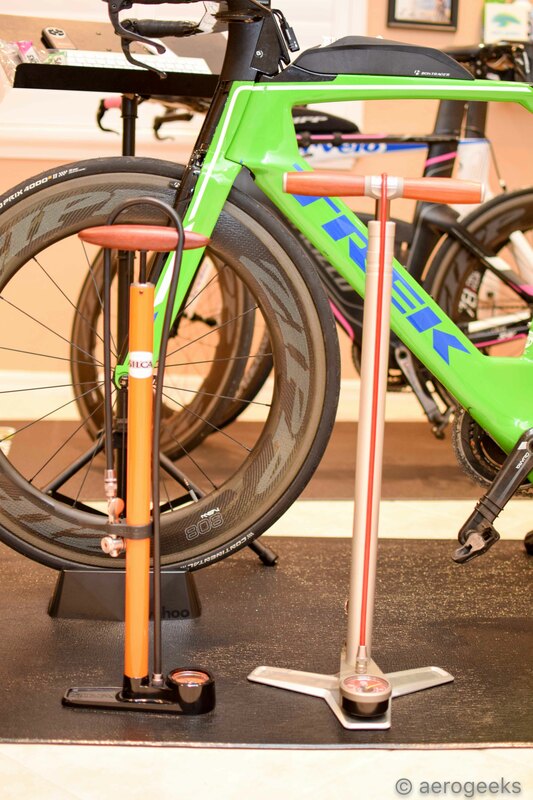 It’s built to be very, very good at being there when you need it on the road—whether that’s after driving to your local coffee shop ride, at 5am before you are about to head out for 140.6 miles, or at the track on the last day of the Omnium. Yes, you could use it for every day work, and there are those who might find its size superior to other options out there. But for us, it was great at being exactly what we needed it to be – a perfect companion in transition to ensure that, no matter what happens on race day, we were prepared. I’ve had one of these pumps since 1990 and it still works just as good today as the day I bought it. They might be pricey but in the end it’s very economical. Best pumps ever made IMHO.